The World’s Greatest Super-Knights are one of our personal favorites. Growing up, many of us had no idea these figures existed in the first place, and they are DELUXE Mego offerings! Being characters in the public domain Mego could spend more money on accessories and detailing, and are therefore among their best work in the 8 inch scale. 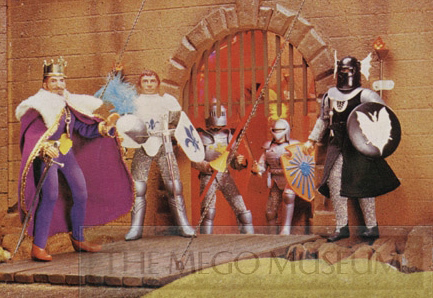 Unfortunately, once high demand has decreased substantially for the Mego Knights (as well as the Mego Robin Hood and Pirates ) after they were reproduced in the early 2000s by CTVT. Produced only in boxes (1975-76) they feature wonderful detailing and design. A Camelot playset was planned, but not produced. It was later used as the Witches castle exclusive for the WOZ line. 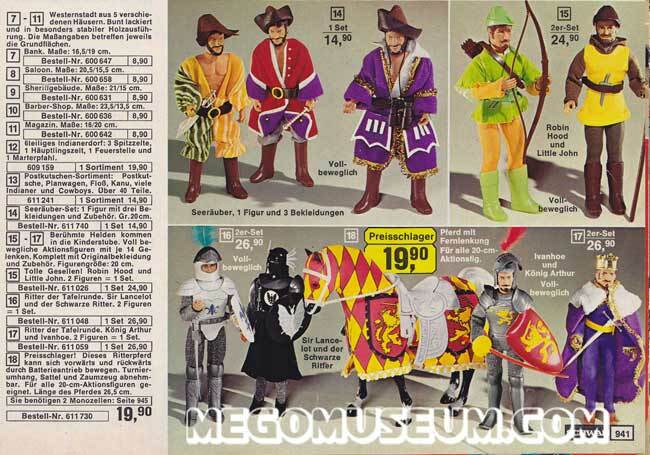 Mego Guenivere was never produced but the Jousting Horse has surfaced in Europe. 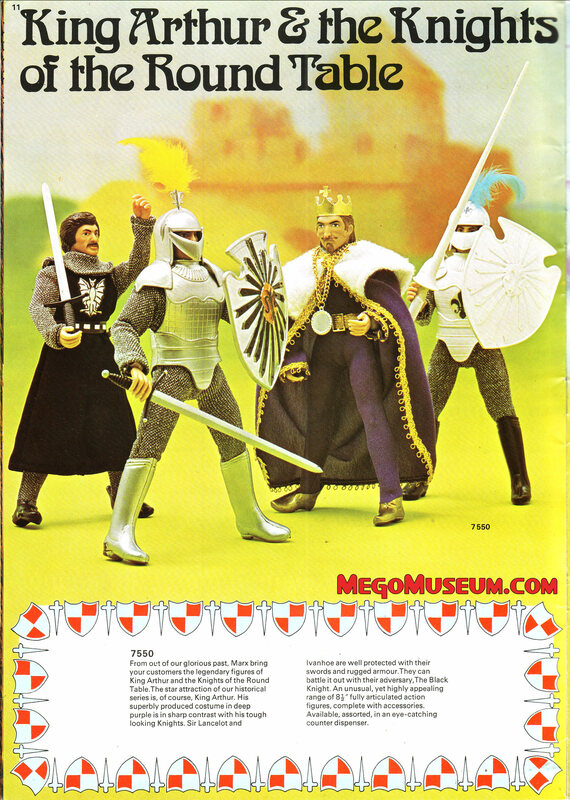 This page from the 1975 Marx UK Toy Catalog showcases some very early renditions of the Knights. Note the superhero boots and the missing belts and details. The Mego Super Knights were sold in Two Packs in Germany, click the gallery of every Knight but Galahad to see more!